We had been suspecting so after comparing with Google Images of Demodex. quite appropriate, understandable and respectfully professional! 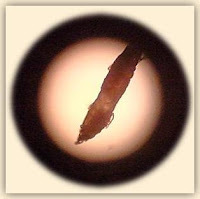 with Three Google Images, Photos of Demodex. Malassezia Shards or Demodex Cocoons? so what are the creatures attached on the Eye Brow Hair ( below) ? 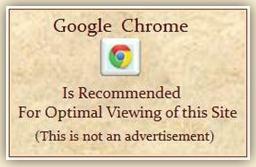 They are also said to be causing similar symptoms. based on People’s Self Assessments - Not necessarily correct ? 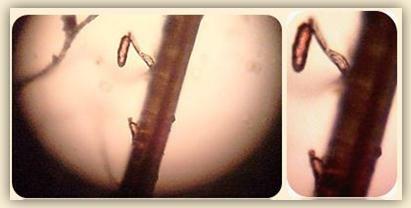 Identification and following verification of details as Malassezia. 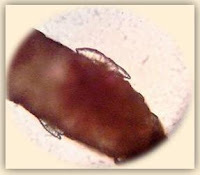 ascribed as caused by Demodex or vice versa. 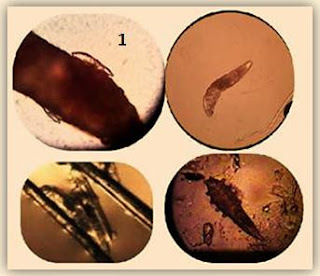 development would have revealed springing hyphae or more distinct shaping of Demodex.